The 21st century, far from becoming an era of international peace and development as was once predicted, has seen a proliferation of conflict and violence, intolerance and inequality, with the renewed menace of nuclear weapons threatening our entire future. Does not the world deserve better, a century after the First World War ended, and why do the lessons of that war still fail to be learnt? The threat of nuclear conflict, the growth of terrorism, the rise of authoritarian rule and the warping of democracy typified by the electoral success of Donald Trump, the growing evidence of climate change, the spread of civil wars and population flight have combined in a dystopian storm which overwhelms humanity's general tendency to look on the bright side and hope for the best. The international system based upon nation-states with their own agendas and interests and relying in the last (or often not-so-last) resort upon war or the threat of war, is no longer fit for purpose, and it will have to change or humanity will face terrible consequences. This has long been clear to far-sighted peace thinkers and over the past century and a half successive attempts have been made to reshape the conduct of international affairs on a more peaceful basis. Each attempt began as a response to the shock of war, each was undermined by a subsequent war, and yet each left a legacy which became the basis for further action. A new quest was launched at the end of the cold war, this time driven by wider concerns that included climate change and global inequality as well as nuclear proliferation, regional conflict (especially in the Middle East) and the need for UN reform. The failure to fully grasp this opportunity to re-structure the world system in the 1990s and early 21st century should be seen as one of the greatest tragedies of our modern age, yet it can still be redeemed. This is an entirely practical endeavour: the concept of peace has always been much more than a fine sentiment, a splendid ideal, and the simple absence of war. 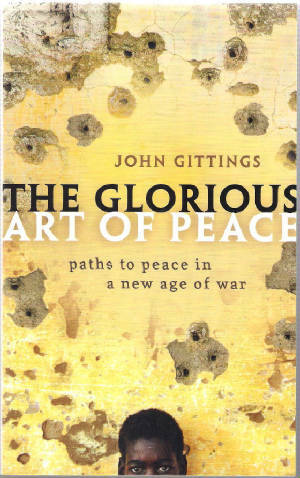 Over the last two millennia, there has been a powerful and multi-stranded narrative of peace, expressed in different forms and in different environments, challenging the more strident discourse of war. In my book I trace this narrative from ancient China and Greece, through early Christian teachings to the humanist thinkers of the Renaissance, onwards in an increasingly rich dialogue through the Enlightenment into the 19th and early 20th centuries when peace became a political campaigning issue from which the modern peace movement can be said to have emerged. The most fundamental lesson to be learnt is that peace can never be achieved in isolation, but depends upon mutual cooperation between neighbours, communities, regions and nations. In spite of setbacks and failures, and the persistence of a political culture which still regards war as the ultimate arbiter of dispute, the dominant spirit of the human race is and always has been to prefer peace to war and to develop by peaceful means, and if this were not the case we as human beings would not still be here today. This is why we should remain optimistic about the future in spite of today's many dangers: humanity is fundamentally programmed to survival by peaceful means, and war and conflict represent not normal health but an abnormal sickness to be overcome. As we approach the third decade of the 21st century, the failed assumptions of 19th and 20th century nation-state ideology are no longer acceptable. We need to reject the illusions of war and strive for the realities of peace while fully aware that this has been and always will be an uphill struggle. As UN Secretary General Ban Ki-moon said in 2016: "Peace is not a gift. Peace is something we must all work for, every day, in every country".